The League of American Bicyclists is again sponsoring Bike to Work Week, May 16-20. Below are some of the organized events near Garver office locations. Other events may be available, so make sure to check your local news sources. And happy biking! Sharing the Road Workshop (Friday, May 13) A three-hour educational workshop that addresses responsible ways for motorists and bicyclists to share public roadways. Ride of Silence (Wednesday, May 18). A memorial ride to remember bicyclists killed or injured in traffic crashes. Bike to Work Day (Friday, May 20). 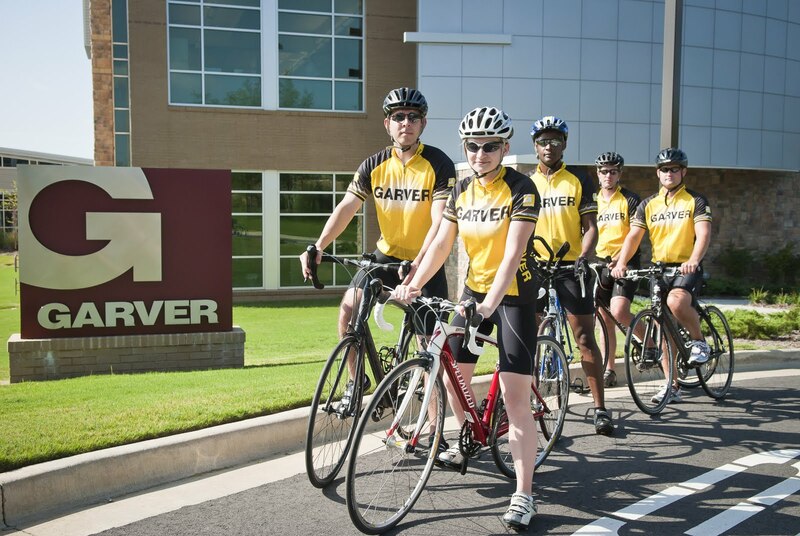 Garver is defending its Bicycle Advocacy of Central Arkansas Commuter Challenge trophy. The company with the most riders attending the rally will win the trophy, and Garver has held the title for two consecutive years. Kick-Off Proclamation and Urban Ride (Friday, May 13). The city mayor will read the Bike to Work Week Proclamation, and then an urban bicycle ride will begin. Bicycle Commuter Challenge (May 15-21) The workplace with the highest percentage of bicycle commuters on any single day has the chance to win great prizes. Garver has won the title two years in a row. Free Workshop Series (May 15, 17, and 20). The Indian Nations Council of Governments has organized a number of training workshops for bicyclists. Remaining events include "Gear Up," "Bike to Work Essentials," and "Happy Hour." Bike To Work Day (Friday, May 20). The Association of Central Oklahoma Governments is helping coordinate Bike to Work Day rides for for numerous communities, including Norman. Two group rides are planned. More information is available on ACOG's website. Irving Bicycle Fest (Saturday, May 14). Planned events include group rides, kids' bicycle safety, bike repairs, and a safe route finder. Ride of Silence (Wednesday, May 18) . A memorial ride to remember bicyclists killed or injured in traffic crashes. Events are planned in Plano, Dallas, Fort Worth, and Houston. City of Allen Family Bike Day (Saturday, May 21). Bike day events include bike safety check up, games for kids, and educational presentations. Tour de Nash (Saturday, May 21). Family rides and longer tours are scheduled. Bike to Work Week Events (May 16-20). Bike to different businesses throughout the week and get free coffee and discounts on other food and drinks.